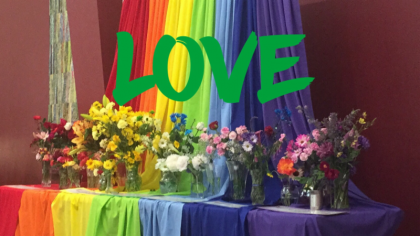 Join us for this beloved and beautiful UU ritual of Flower Communion. 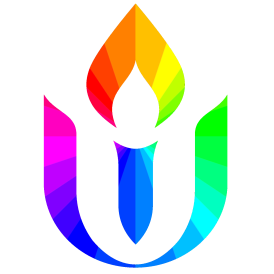 We will create a rainbow altar of flowers to honor the diversity and creativity of creation. In celebration the unique beauty all around us, in nature and in humanity, we open up space for more joy, peace, and a sense of home in ourselves to emerge. Originally created in 1923 by Unitarian minister Norbert Capek of Prague, Czechoslovakia, the Flower Ceremony was introduced to the United States by Rev. Maya Capek, Norbert’s widow. In this ceremony, everyone in the congregation brings a flower. Each person places a flower on the altar or in a shared vase. The congregation and minister bless the flowers, and they’re redistributed. Each person brings home a different flower than the one they brought.